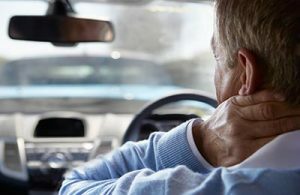 Whiplash may seem like a relatively minor injury, but the worst of its symptoms can be utterly debilitating. Also called “neck strain,” this soft tissue injury develops when you suddenly overextend and then flex your neck. Symptoms include pain and stiffness in the upper body, reduced range of motion in the neck, tenderness in the shoulders, and headaches that start at the base of the skull and radiate up to the forehead. Dizziness, nausea, vomiting, and tinnitus are also common effects of whiplash. Although there is no “cure” for whiplash, there are ways to facilitate the body’s natural healing process. Fortunately, the prognosis for those with this condition is usually good. Most patients make a full recovery within three months, especially if they seek immediate treatment, but if the pain or immobility are affecting your job or lifestyle, there are steps you can take that might reduce the downtime. 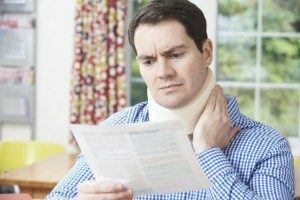 If your injury has left you sidelined from work with mounting medical bills, you may have grounds for a claim against the party who caused your injury. To find out if your case has merit, turn to Charnas Law Firm. Attorney Scott Charnas represents clients throughout New York and Massachusetts. Call 212-980-6800 to schedule a free case evaluation with a spinal cord injury lawyer in New York City. According to the Mayo Clinic, physicians typically advise patients with whiplash to rest during the first 24 hours after the accident. Resting for any longer than that could actually impede recovery since allowing your neck to move through its natural range of motion encourages proper healing. Applying heat or ice to your neck and shoulders periodically can relieve pain. You can apply for 15 consecutive minutes up to six times per day. Over-the-counter pain relievers like ibuprofen and acetaminophen can relieve moderate pain, discomfort, and inflammation over the days following the accident. If your symptoms are severe, your doctor may recommend prescription pain relievers or muscle relaxants instead. Patients with severe neck strain can benefit from lidocaine injections. Lidocaine is a numbing medicine that will reduce pain and discomfort so you can participate in physical therapy. Accident victims who want to take a more natural approach to treating their whiplash can try alternative remedies like massage therapy, chiropractic care, and acupuncture. Clinical research regarding the efficacy of these therapies is limited, but many patients believe they provide immediate relief for some of the more painful symptoms. If you sustained a serious neck or back injury through no fault of your own, turn to Charnas Law Firm. Attorney Scott Charnas has assisted hundreds of clients in personal injury and wrongful death cases. Call 212-980-6800 or fill out our Contact Form to schedule a free consultation with a personal injury lawyer in New York City.